Globe Telecom sets up Libreng Tawag and Charging stations in Daet, Camarines Norte to assist residents with their communication requirements after Typhoon Glenda ripped through the region Tuesday evening. The Globe Libreng Tawag and Charging center was placed at the Daet Elevated Town Plaza where a lot of people usually converge. 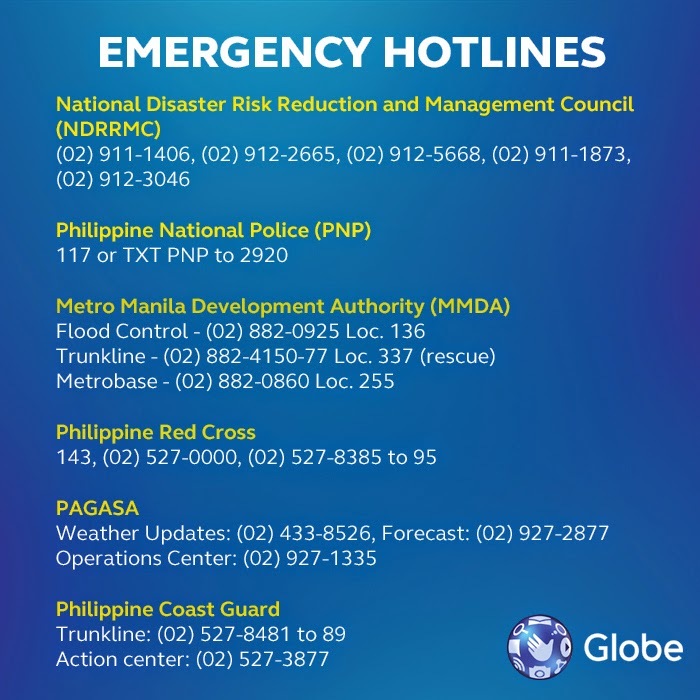 Through the free call and text service of Globe, Daet residents could remain in contact with their families and friends to assure them of their safety or to request for aid if necessary. Aside from Daet, Globe is preparing to put up similar facilities in Legazpi and Daraga in Albay Thursday morning. Globe will also mobilize relief operations in hardly-hit areas as soon as possible.